Our 2018 Who’s Who in Health Care List is full of seasoned executives, doctors who have years of experience and provide their patients with quality care, researchers who are on the forefront of technology and educators who are teaching the next generation to be more prepared than they were—all while keeping up with the changing times. Despite the challenges, they continue to be advocates for those who need special care and to advance the state of local medicine in South Jersey. Mazzarelli has had various roles at Cooper University Health Care since his arrival in 1999. His most recent role prior to being named co-president was chief physician executive and senior executive vice president, where he had oversight of quality and patient safety for the health system, as well as oversight of Cooper’s practice plan of more than 630 employed physicians who also serve as the faculty for Cooper Medical School of Rowan University. Prior to that role, Mazzarelli was senior vice president of operations and deputy chief medical officer, where he reorganized the quality and patient safety department, which led Cooper to its recent first-time recognition as a “Top Performer” by the Joint Commission. Under his leadership, Cooper also realized significant improvement in the nationally recognized quality and safety Leapfrog Report Card. Kulkarni is a fellowship-trained, board-certified surgical oncologist dedicated to serving the people and communities of South Jersey. She completed her medical school training in 2000 at the Kasturba Medical College in Manipal, India, and trained in premier institutions in India for surgery and surgical oncology. She then completed her surgical residency at Abington Memorial Hospital followed by her fellowship in complex general surgical oncology at Fox Chase Cancer Center in Philadelphia. Kulkarni is double board-certified in general surgery as well as complex general surgical oncology, and specializes in liver and pancreatic resections, gastric and colorectal resections, treatment of breast cancer and soft tissue sarcoma, as well as the comprehensive management of melanoma and other skin cancers. With more than 12 years of surgical training and nearly 2,000 surgeries performed, she combines her passion for learning and research with genuine regard for improving the lives and experience of her patients. Libon obtained his doctoral degree from the University of Rhode Island and then went on to receive training in clinical neuropsychology at the Boston VA Medical Center under the supervision of Edith Kaplan, Ph.D. Libon was an early pioneer in conducting research regarding neuropsychological syndromes associated with MRI evidence of white matter alterations and subcortical vascular dementia. For this research, he was honored with the Nelson Butters Award by the National Academy of Neuropsychology. More recently, he has used statistical modeling techniques to elucidate phenotypic syndromes in both dementia and mild cognitive impairment. Libon has recently co-edited a book on Edith Kaplan and the Boston Process Approach as related to clinical neuropsychological assessment. In 2015, Libon was honored by the International Neuropsychological Society with the Paul Satz Teaching Career Mentorship Award for his teaching and mentorship activities. Pullin is a seasoned health care executive with operational and business development experience and has had leadership roles in hospitals, academic medical centers, physician group practices and private industry. He was vice president of operations and business development at St. Luke’s Episcopal Health System in Houston; vice president of acquisitions and development at Symbion Healthcare, Inc.; executive director of the Baylor Sports Medicine Institute at Baylor College of Medicine; and chief operating officer at Hopestar Medical Management Group. Earlier this year, Modern Healthcare recognized Pullin as one of the nation’s Top 25 Minority Executives in Healthcare. Under his leadership, Virtua Health recently signed an agreement to buy Lourdes Health System. Venditti is vice president of AtlantiCare, a member of Gesinger, which comprises AtlantiCare Regional Health Services, including AtlantiCare Regional Medical Center with three locations—ambulatory services and AtlantiCare Physician Group (APG), the AtlantiCare Foundation and AtlantiCare Health Solutions—an accountable care organization. She also serves as president of APG, which includes AtlantiCare urgent, primary and specialty care services. Venditti collaborates with the AtlantiCare leadership team to develop and implement business strategies aligned with AtlantiCare’s goals of increasing access to quality care and enhancing the health and well-being of the community. Founder, Foot Health Centers, P.A. Levine is a podiatric surgeon who founded Foot Health Centers, P.A., in Cherry Hill in 1972. 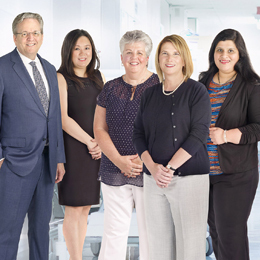 Forty-six years later, the practice is considered the largest and most comprehensive lower extremity care group in the region with 18 doctors in 35 locations throughout South Jersey. Levine, a multiple award winner for health care innovation and top doctor honors, received his doctor of podiatric medicine degree at the Pennsylvania College of Podiatric Medicine and his undergraduate degree at Rutgers University. He holds multiple podiatric and orthopedic surgery board certifications and fellowships, and has taught podiatric medicine at Temple University and New York College. Berns is professor of medicine and pediatrics at the Perelman School of Medicine at the University of Pennsylvania where he is also associate dean for graduate medical education and director of the Nephrology Fellowship Training Program, which is among the largest in the country and has a long historyof providing superb clinical and research training, allowing graduatesto embark on successful careers in clinical nephrology,teaching and clinical or basic science research. Berns has been practicing nephrology in Philadelphia for nearly 30 years and also sees patients at the Penn Medicine Cherry Hill facility. Hall began her journey into the nursing profession as a student at Gloucester County College (now Rowan College at Gloucester County) and 21 years later serves as the dean of the college’s Nursing and Allied Health Division. Hall was a licensed practical nurse before earning an associate’s and bachelor’s degree in nursing, and then a master’s degree and doctor of education from Wilmington University. While the college’s name has changed, the nursing and alliedhealth program continues to grow and be recognized for its academic excellence and quality instruction. Under the direction of Hall, RCGC has been ranked the No. 1 nursing program in New Jersey for the second consecutive year. Goodworth’s desire for the medical field started in Los Angeles where he taught high school math and science. He wrote a grant which was approved, resulting in $1 million to establish a health and wellness clinic on the campus, which was in a chronically underserved area. At South Jersey Radiology and Virtua Health he is part of a team with a robust and progressive women’s imaging program that includes screening mammography, breast MRI and in-office biopsies for breast cancer. Goodworth went to Temple University School of Medicine and completed his residency and fellowship at the Hospital of the University of Pennsylvania. Bennett took the helm Nov. 9, 2017, as president and CEO of the New Jersey Hospital Association (NJHA), a nonprofit trade association representing New Jersey’s hospitals, health systems and other health care providers that provides leadership on quality and patient safety, education and advocacy in both Washington, D.C., and Trenton. As CEO, Bennett oversees NJHA; the Health Research and Educational Trust of New Jersey, a nonprofit affiliate that promotes continuing education, patient safety, quality improvement and research; and the for-profit Healthcare Business Solutions, which provides group purchasing and other business solutions for health care providers. Manni has been at Deborah Heart and Lung Center for over 30 years and has held various positions during his tenure at the hospital,including director of support services, administrator of Deborah Research Institute and director of materials management. Heholds a master’s degree in health care administration from St. Joseph’s University and a bachelor’s degree inbiology from the University of Scranton. Manni is married with two children and lives in Medford. Family medicine has been Monte Carlo’s passion since medical school at UMDNJ/SOM (now Rowan College of Osteopathic Medicine), where he received the Alan Z. Gartzman, D.O., Memorial Award for demonstrating extraordinary dedication to family medicine. Serving compassionate, quality care is what Monte Carlo strives for each day, and he is on numerous committees for Kennedy Health Alliance to better serve his patients and toimprove the delivery and quality of health care in those communities. Zhang oversees Coriell Institute’s powerful, high-throughput laboratory capable of analyzing large volumes of DNA and RNA samples. The facility is also integral to the success of the Coriell Personalized Medicine Collaborative research study, as it performs genomeanalyses for the thousands of enrolled participants. Prior to joining Coriell Institute, Zhang was a senior research scientist with Weill Cornell Medicine New York-Presbyterian Hospital, where she was responsible for developing next generation sequencing for clinical oncology tests in molecular diagnostic laboratory and translational research studies. Zhang earned her advanced degree in neuropharmacology at the Peking University Health Science Center in Beijing, China, and her medical degree from the Shanxi Medical University. She acquired her doctorate in biomedical sciences from Rutgers Biomedical andHealth Sciences. Devine has been instrumental in leading Kennedy Health through its merger with Jefferson Health and in this new era as Jefferson Health New Jersey, which began last fall. A 32-year-plus veteran of what until fall 2017 was Kennedy Health, Devine is an officer of the Corporation of Kennedy Health and an ex-officio of the Kennedy Universityboard of trustees. Under his leadership, Jefferson Health New Jersey (Kennedy Health) has been named a “Top Workplace” five times from 2014-2018. In 2016, then-Kennedy was the only hospital system in the United States to be honored as a Sepsis Hero by the Sepsis Alliance for its extraordinary sepsis detection and treatment program. Baston is dual board-certified in family medicine and addiction medicine. As the medical director of addiction medicine, she runs the perinatal substance use program, the inpatient hospital consult service, general outpatient specialty care and medical education at both the graduateand medical school levels. Baston practices in Cooper’s Urban Health Institute, working with an interdisciplinary team of like-minded, driven individuals dedicated to making change in Camden. She strives not only to create a home for patients with substance use disorders within the medical system, but also to end the stigma of addiction in societyand to ensure that all patients suffering from substance use disorders are offered treatments that can allow them to live full and satisfying lives. Dwyer and Disabella collaborated to restore athletes to optimal performance with new advances in interventional orthopaedics. These advances include the latest methods in platelet-rich plasma and stem cell therapy, which provide techniques that bridge the gap between simple injections and orthopaedic surgery with precision, allowing the best performance outcome for the patient. This procedure enhances healing and shortens recovery times for athletes of all ages. Kane works with patients to develop, re-develop and modify skills to regain independence and optimize functioning with everyday tasks, with an overall goal of improving quality of life. He has been working at HealthSouth Rehabilitation for almost 11 years and runs the Occupational Therapy Student Program, coordinating clinical rotations for students in occupational therapy programs and providing a strong hands-on educational experience for the future occupational therapy practitioners. Improving his clients’ quality of life and gaining the necessary skills and independence to meet their goals and return home and back into the community is what Kane finds most rewarding. Adams received his undergraduate degree from the Philadelphia College of Osteopathic Medicine, and his medical degree from the University of Medicine and Dentistry of New Jersey [UMDNJ]. He is board-certified in internal medicine, pulmonology and critical care. 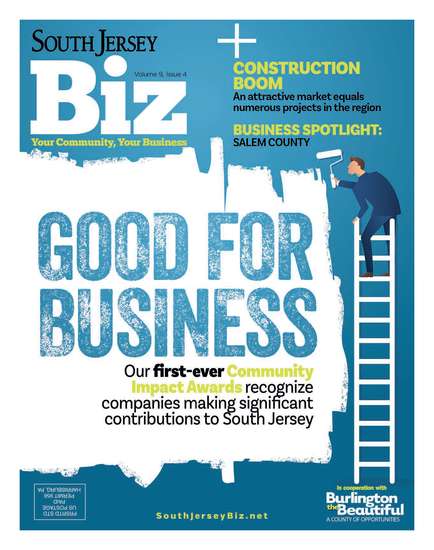 Published (and copyrighted) in South Jersey Biz, Volume 8, Issue 6 (June 2018).